Westport is awash in war stories. This year’s WestportREADS library book — “Regeneration” — shines a light on a British officer’s refusal to continue serving during the “senseless slaughter” of World War I. 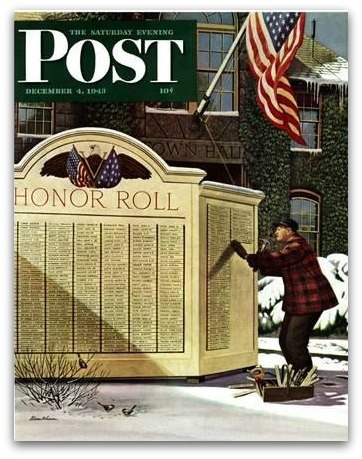 On January 28, the Westport Historical Society opens an exhibit honoring Ed Vebell. Now 96, the longtime resident was a noted illustrator during World War II. He’s drawn and written about the military ever since. World Wars I and II — and Korea, Vietnam, Iraq and Afghanistan — come together at the WHS on Sunday, February 4 (3 p.m.). “On the Front: Veterans Reflections” offers insights into how war affects people, communities — and the peacetime that follows. A panel of veterans — from World War II on — will provide their thoughts. But, says WHS education and programs director Nicole Carpenter — the hope is for plenty of questions and interactivity. Ed Vebell is one of Westport’s honored — and few remaining — World War II veterans. Last May, he was grand marshal of the Memorial Day ceremonies. That’s important. After all, it’s what every veteran in history fought to protect. It may be an American record. 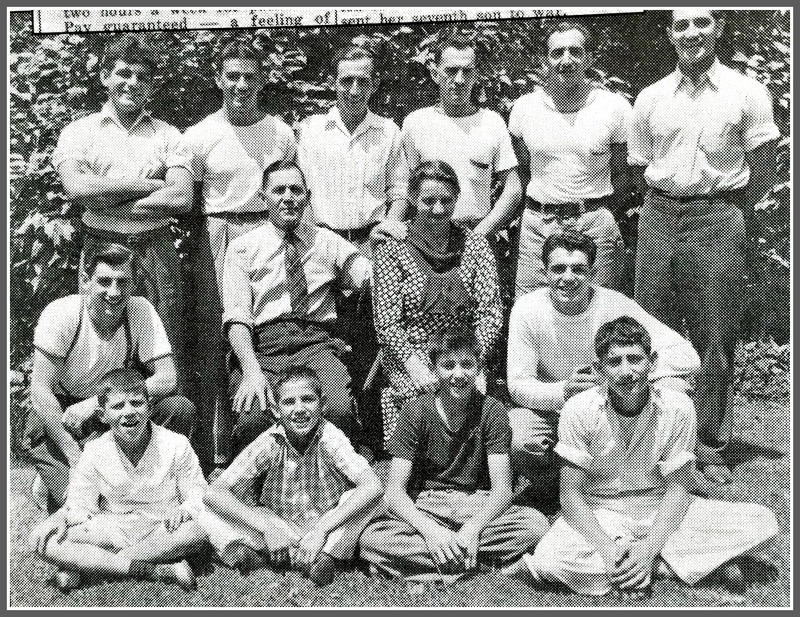 During World War II, 8 of the 12 Cuseo sons left Westport, to enlist in the armed forces. Fortunately, only one — James — was killed. Lucy was buried here with military honors. American Legion members served as pallbearers. The Cuseos’ contributions to World War II were astonishing. But in terms of sacrifice, none made more than the Wassell family. Four sons enlisted. All were pilots. Three were killed in action — all within 15 months of each other. Before the war, Harry — the oldest — helped design fighter planes in Stratford. He, his brother Bud and other Westport men started the Westport Defense Unit, to teach marksmanship. He enlisted in the Army Air Force after Pearl Harbor. A 2nd lieutenant, he died in Iceland in 1943 while ferrying aircraft to the European Theater. Frank L. “Bud” Wassell Jr.
Like Harry, Bud left college because of the Depression. The 2 sons worked with their father, Lloyd, in starting the Wassell Organization on Sylvan Road. A very successful businessman, he had worked as personal assistant to George Westinghouse, founder of Westinghouse Electric. The company invented and sold production control equipment, becoming instrumental in expediting the efficiency of defense contractors. 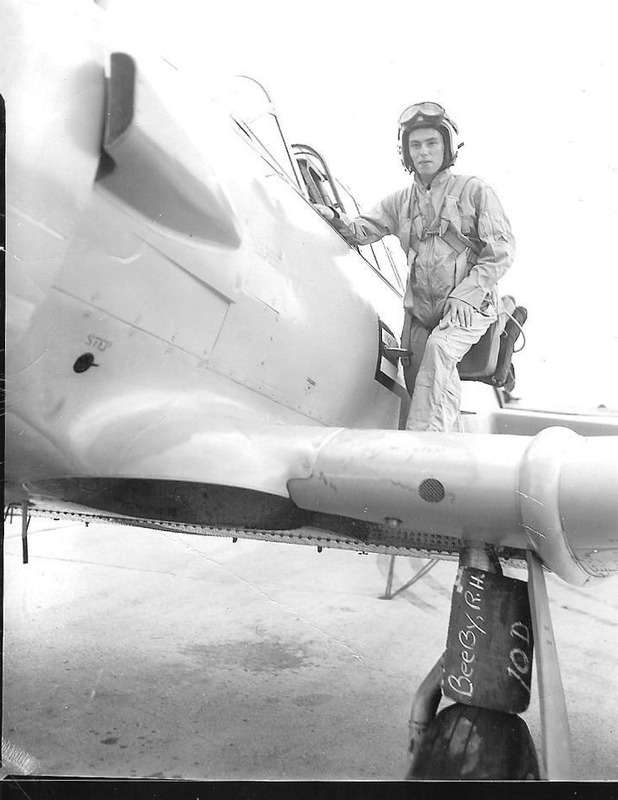 A 1st lieutenant flight commander, Bud was killed in 1943 in a midair collision, while a flight instructor in Florida. 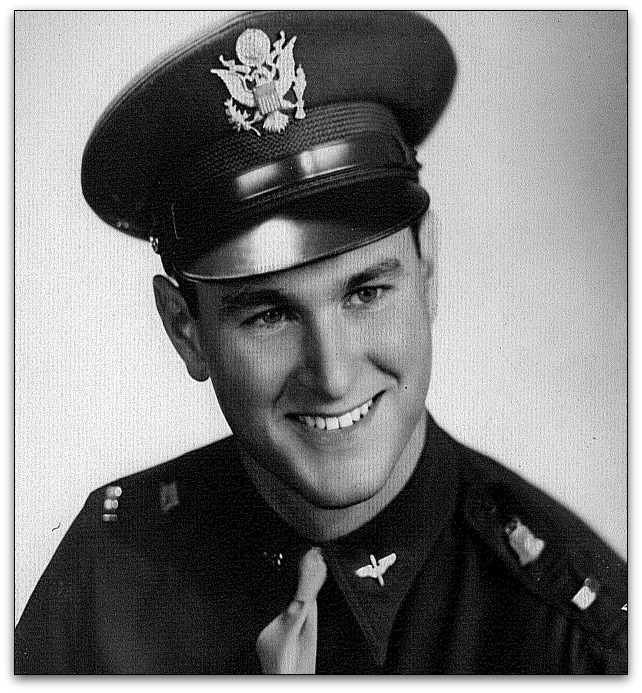 Pete — a 1940 Staples High School graduate — left Middlebury College to train as a pilot in the Civil Air Patrol. He transferred to the Army Air Force, and was commissioned a 2nd lieutenant navigator. He served in the China/ Burma/India Theater, and died in 1944 after his B-24 aircraft was hit by antiaircraft fire while attacking a Japanese cruiser. The 4th son — George — was a member of Staples’ Class of 1943. But he left high school in 1942, to enlist as an aviation cadet. Appointed a B-17 aircraft commander at the age of 18, he was recalled from overseas duty when his 3rd brother Pete was killed. He served as a B-17 pilot instructor through the war’s end. 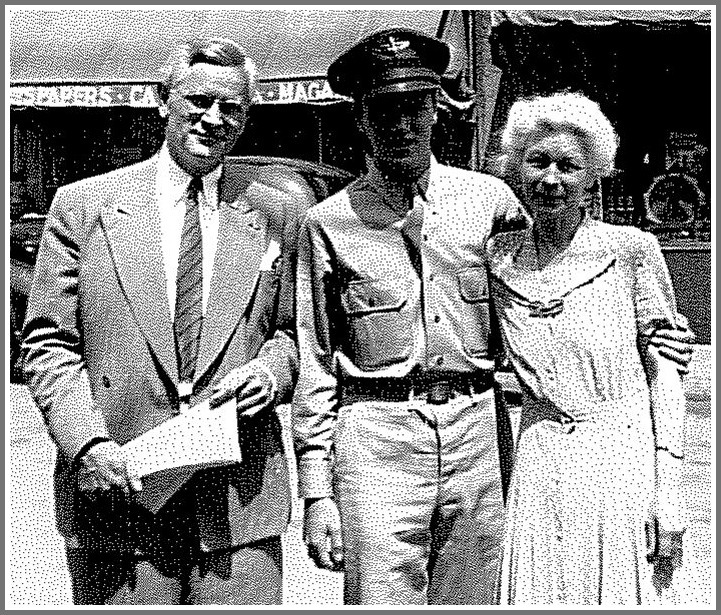 George Wassell with his parents, Lloyd and Georgene, by the Westport train station on Railroad Place in 1943 or ’44. 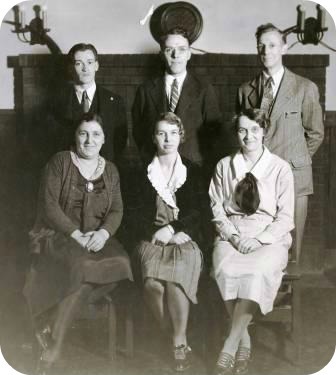 George turned down a full engineering scholarship to Cornell in order to join his father in the Wassell Organization. Pete left behind a child, born 2 months after his death. Harry had a daughter, Patty, who still lives in Westport. George married Betsy Schuyler in 1945. They raised 6 children in Westport. George and Betsy Wassell at Longshore, not long after the war. When Lloyd moved his family to Westport before the war, he and his wife Georgene bought several acres of land on Mayflower Parkway. He built a large house (by 1930s standards), and planned to give building lots to his 6 kids: the 4 boys, and daughters Pat and Betty. World War II sabotaged all that. But George and Pat did build homes there after the war. George added a pool, 3-hole golf course and tree house. The property became a great attraction for lots of cousins, and tons of neighborhood kids. Longtime Westporter Jono Walker — George’s nephew — remembers those times fondly. As for George and Betsy: They moved to New Hampshire in 1974. He died in 2010, age 85. She is now 89, and lives in Maine. The Wassell brothers’ 2 sisters are still alive. Betty is 98, in Florida, and Pat is 89, in Colorado. The brothers and their parents are all buried at Willowbrook Cemetery. 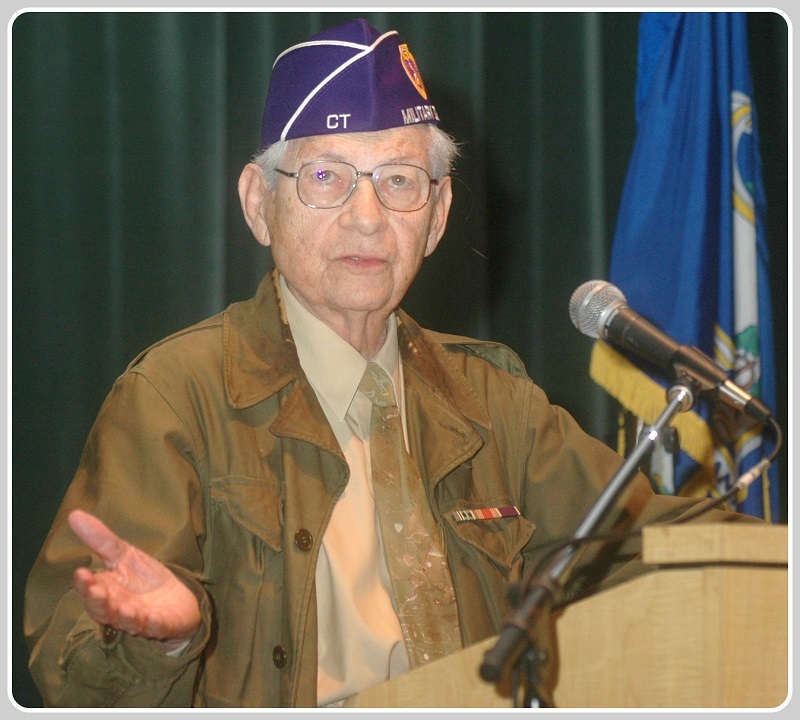 Last February, Westporter Harold Gross — a World War II veteran (11th Airborne Division) and member of a Japanese Language Group at the Westport Library –met Barbara O’Hare at the Los Baños Prison Rescue dinner in Manhattan. The annual dinner honors those who participated, and the prisoners they saved. 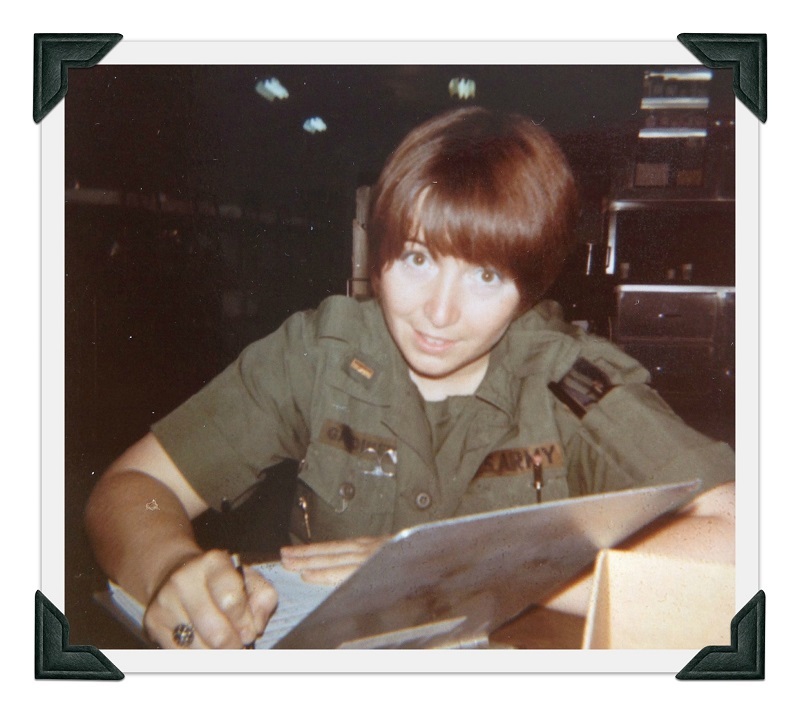 Barbara’s father was with the 11th Airborne Division’s 511th Parachute Infantry Regiment. On February 23, 1945 they participated in one of the most successful rescue operations in modern history: Along with Filipino guerrillas, they rescued more than 2,100 Allied internees held behind Japanese lines. At the 70th anniversary dinner, Barbara showed a discolored Japanese flag her father obtained in the Philippines during the war. She kept the flag after he died. There are handwritten messages on the flag, but neither she nor Harold could read them. He suggested that Barbara bring the flag to one of our library meetings so that I — a native speaker of Japanese — could see it. In April, Barbara brought the flag and other items. 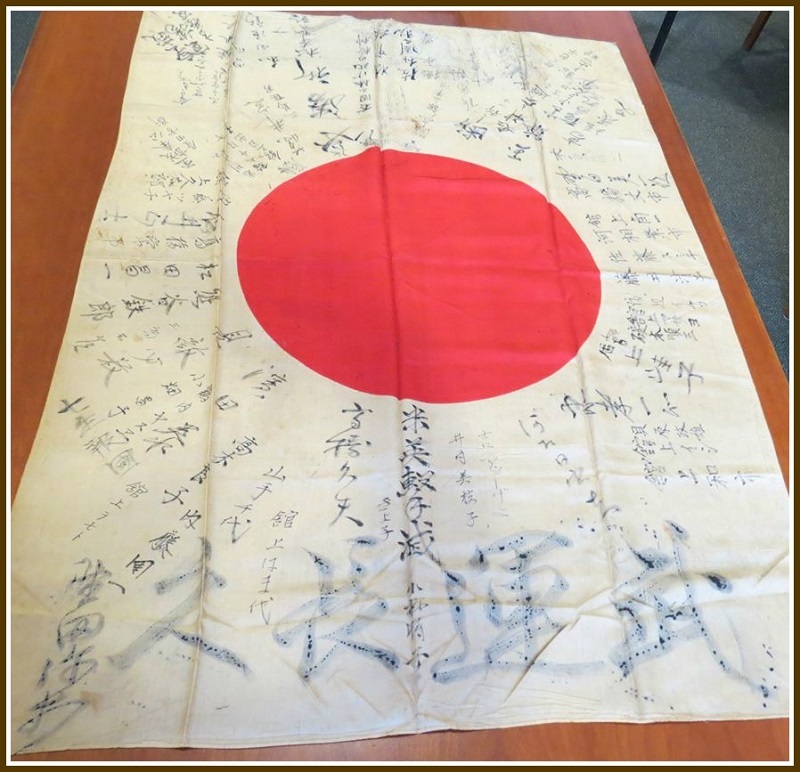 The 70-year-old Japanese flag, on a Westport Library table. She wanted to find surviving family members of the original owner, so the flag could be returned to them. 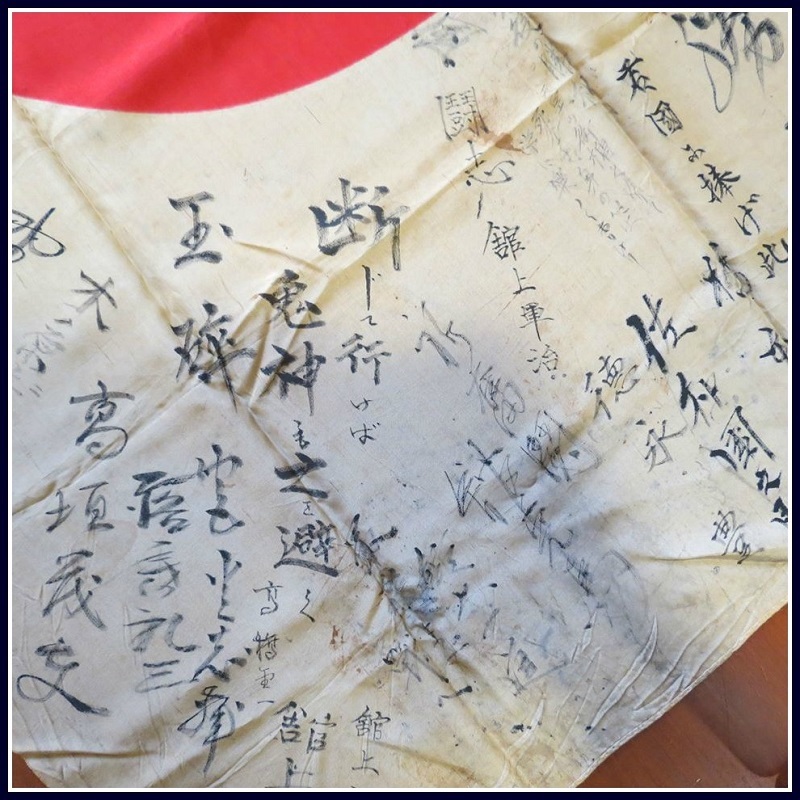 During WWII, it was common for Japanese families to ask relatives, friends and neighbors to put their names on flags. They were given to soldiers as farewell gifts — or perhaps good luck charms — when they left. I heard about such flags, and saw images in movies, but this was the first time I saw a flag like that in person. I kept the flag to study it. Some of the Chinese characters (Japanese write in Chinese as well as Japanese characters) are in fluid cursive style, which I had trouble reading. So I sent pictures to my mother and aunt in Japan, both of whom had studied and practiced Japanese calligraphy. One of the challenges is that the soldier’s name is not written on the flag. There is no geographical information either. I figured we probably could not find where the flag came from. But on the flag are more than 60 names, along with farewell messages for the unidentified soldier. As I finished listing the names on a sheet of paper, I realized more than half shared the same last name: Tachigami. It is an uncommon name. Perhaps, I thought, the soldier’s last name was Tachigami. I felt he must have come from an area where extended family and relatives lived nearby. He was likely from a rural town — or at least not a major city. A close-up view of some of the messages and names on the flag. My detective work began. First I searched the internet. I found only a few hundred Tachigami households in Japan. They’re concentrated in a relatively small area – in and around Fukushima City, about 100 kilometers east of Hiroshima. I became more optimistic, and thought I might be able to find someone who knows who the soldier was. I used social media and made international calls. But the effort led nowhere. While unsure what to do next, I learned from one of my wife’s friends that Japan’s Ministry of Health, Labor and Welfare has an office that might help us find a surviving family member. I contacted them immediately, sending pictures that showed details on the flag, along with my comments, observations and analysis. I did not hear back for a while. Hope faded. But in mid-November, 7 months after starting this search, a letter arrived from the government agency. They located Hideko, the oldest daughter of the soldier. I confirmed that her last name is on the flag. I could tell the handwriting was of a child. They are indeed from Fukuyama City. I called Barbara. Of course, she was very excited. Hiroshi Asada, with the flag. Hideko, 81, is the only surviving daughter of Kakuichi Tachigami. He was in the Japanese Navy, and sent to the Philippines. Hideko was 10 or 11 when the war ended, so she was very young when Kakuichi left his family. He probably died in the Philippines, where the 11th Airborne Division was at that time. I have not spoken with Hideko directly. But I talked to her son, Kazuhisa, and daughter-in-law over the phone. Hideko spends a couple of days a week in a special care facility. While she has good and bad days, her son told me that she does remember the flag. Interestingly, I realized that Hideko and my parents are around the same age. In fact, Kazuhisa and I was born the same year, 1960 — 15 years after the war ended. 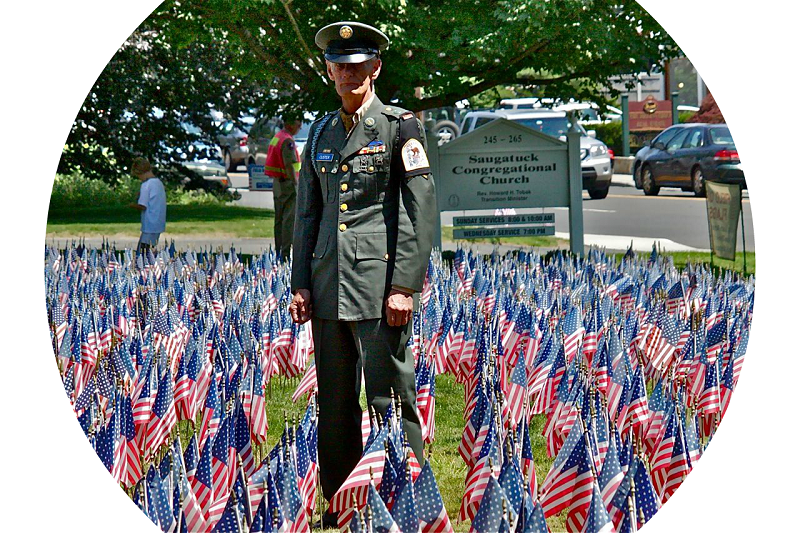 Barbara will come to Westport from New Jersey to see the flag one last time, later this month at the library. We’ll take a picture of her, Harold and me, then send the flag to Japan. She is also considering the possibility of personally delivering it to the family. This has been a special experience for me. I am glad Harold suggested Barbara bring the flag to our meeting. Also, without the library’s Japanese Language Group, Harold and I might not have had a chance to know each other — and this search with a nice ending would never have happened. 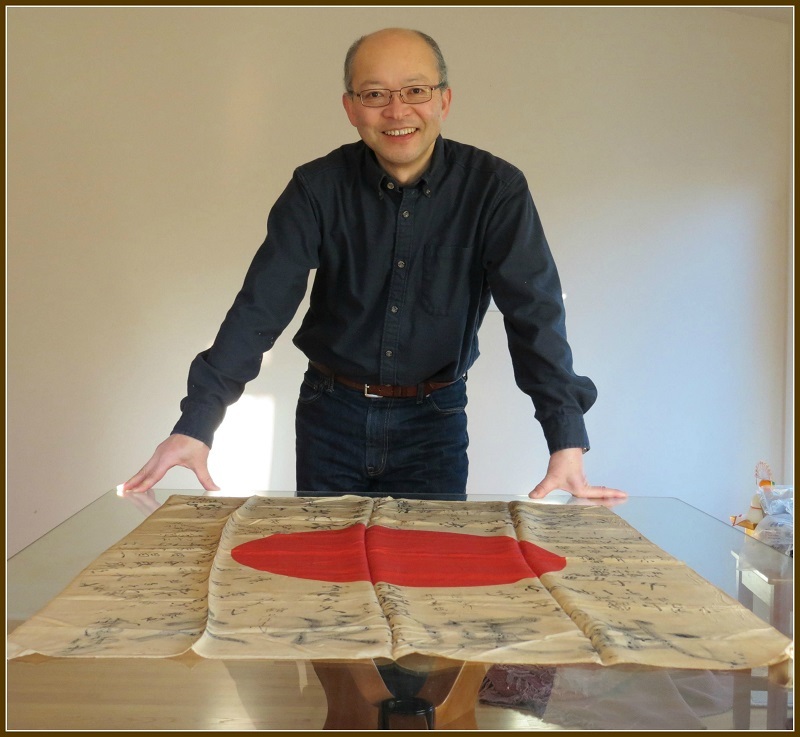 The Japanese Language Group — and the flag — at the Westport Library. Hiroshi Asada’s detective work began there. The Westport Country Playhouse‘s current production — “And a Nightingale Sang” — is a love story about a working-class British family in World War II. Though the effects of war were felt much more strongly in Europe, the US — and Westport — was hardly unaffected. Theatergoers are reminded starkly of that, thanks to a video the Playhouse produced. It drives home the play’s central theme: that in times of personal and historic unrest, the human spirit still grows. The video includes Westport Town Crier newspaper clippings (with many familiar names, like the 8 Cuseo brothers who served); ration books; a Connecticut War Garden card, and air raid instructions for our town. The play’s title is based on a popular 1940s song, “And a Nightingale Sang in Berkeley Square.” It’s a haunting tune — and an equally powerful video and show. For some Westporters, Veterans Day is a holiday. For others, it’s business as usual. No matter what today is, all of us — all Americans, really — should take time to reflect on the millions of men and women who, over the years, have sacrificed greatly to serve our nation, and the world. Here are just a few of the many Westporters who deserve our deepest gratitude. In March of 1944 Emanuel (“Manny”) Margolis turned 18. He was a student at the University of North Carolina, but lacked a deferment. 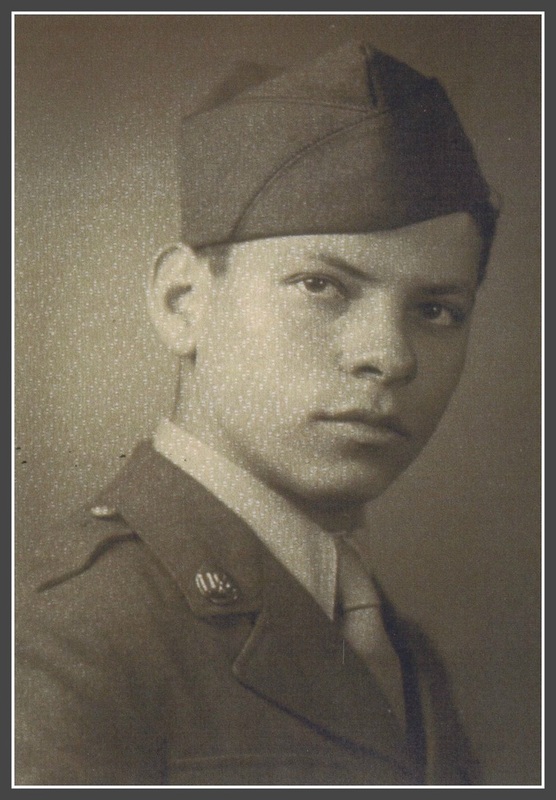 Drafted into the Army, he was chosen as a candidate for Officer’s Training School, and taught Morse Code. Sent to England as a forward observer radio operator, he carried a 100-pound radio on his back. He weighed just 118. 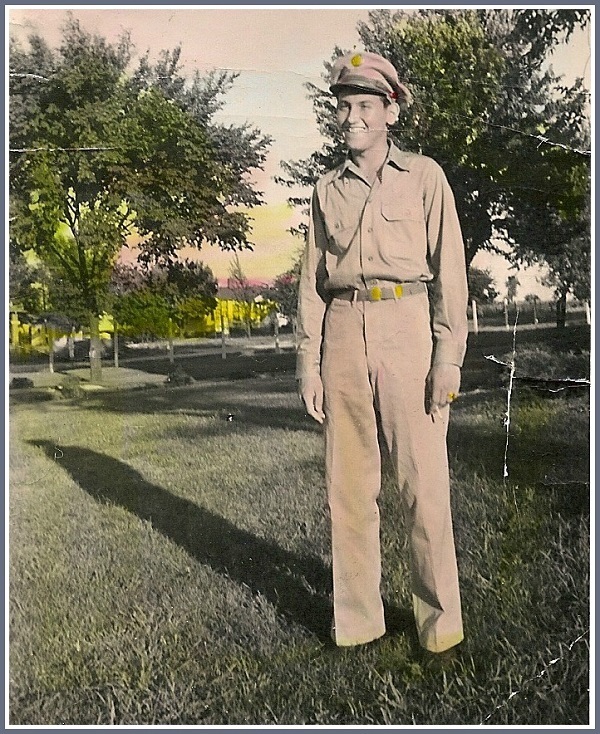 PFC Manny Margolis, age 18 in June 1944. He went to France and Belgium, to the Rhine River. The Germans had blown up all but 1 bridge crossing — a railroad bridge near Remagen. Made of wood, it was not meant to handle heavy tanks and artillery. The Army sent 100 engineers to remove dynamite, and shore it up. Manny was among the first in his unit to be sent over the bridge. Radio operators had to report back to artillery how far to set their cannon fire. Manny was not far into the woods on the other side of the bridge when the Germans began firing. He lay down behind a tree, and was shot through the leg and kneecap. He asked to be sent back to his unit, but his war was over. It was March 17, 1945 — 1 day before his 18th birthday. The Army got some tanks and artillery over the bridge, but it collapsed with 100 engineers working on the underside. Many were killed. Luckily, Manny’s leg was not amputated. He had 3 major operations in England, and more after returning home in the spring of 1946. He was awarded a Purple Heart, went back to UNC and graduated in 1947. Thanks to the GI Bill, Manny went to Harvard. He earned a master’s and Ph.D. in international law. He taught at the University of Connecticut, then was accepted at Yale Law School with 1 phone call (no LSATs or interviews). Manny worked for civil rights and civil liberties for 55 years, and lived nearly all his adult life in Westport. He died in August of 2011, at 85 years old. 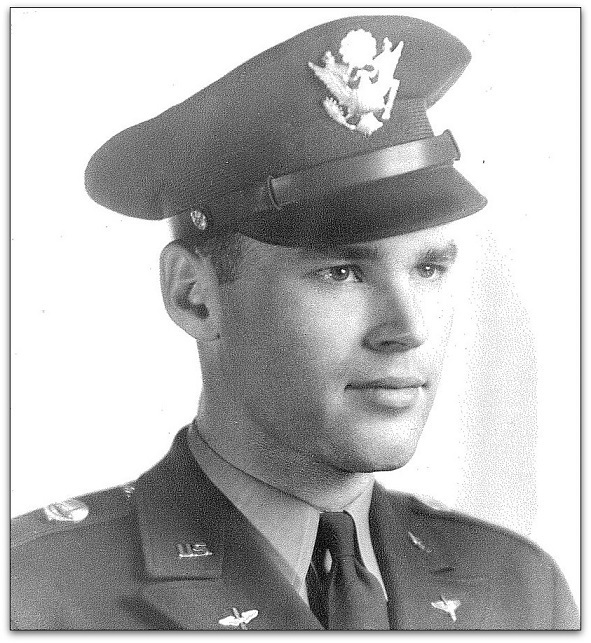 Stanley L. Englebardt landed on the beach at Normandy a couple of days after the initial assault. He saw action on the front line during the Battle of the Bulge. Initially a corpsman, he was put into infantry when the Germans broke through Allied lines in 1944. A longtime Westporter, he died this past March. Stan Englebardt, age 18, soon after entering the Army. Donald Snook was a B-17 pilot in the 369th Squadron of the 306th Bomb Group of the 8th Air Force. He was stationed at Thurleigh Air Force based north of Bedford, England during World War II. He flew 24 missions over Europe, and remained there with the Occupational Air Force until July 1946. Don is now 91. He lives in Westport with his wife, Katherine. Bob Beeby served in the South Pacific during peacetime, just after the Korean War. As a naval aviator he flew an anti-submarine aircraft to hunt for typhoons. With technology less advanced than that in today’s Prius, he went through the walls of a typhoons 1,500 feet above sea level, directly into the eye. He took readings with a sextant, and radioed the storm location to the fleet, in case they had to relocate. Aircraft were often damaged by storms. Pilots risked their lives on emergency landings. Bob was one of them. He has lived in Westport for 50 years. He logged over a million air miles a year as CEO of the international division of a major corporation. He is generous in time and spirit, and a loving father and grandfather. Byron Miller was a Special Forces radio operator in Vietnam. 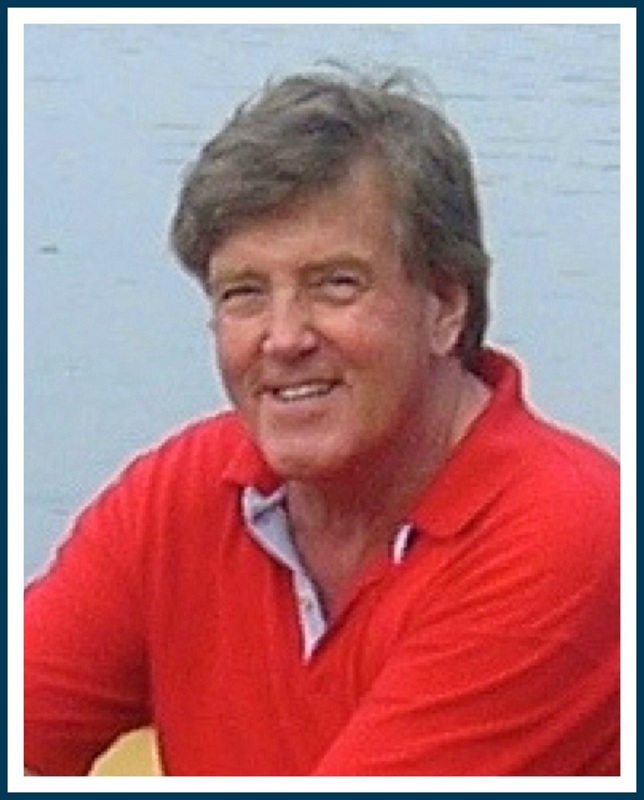 For the past 38 years, he’s been a psychotherapist in, and resident of, Westport. 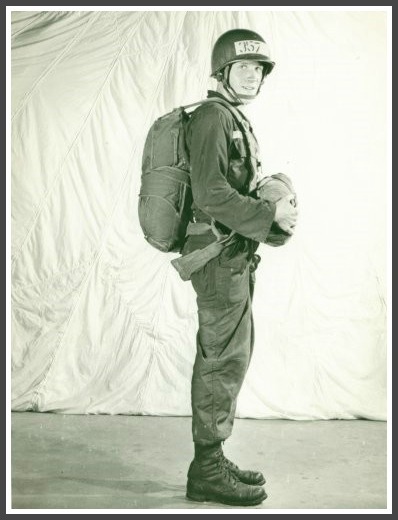 Tom Feeley at Fort Benning Airborne School, 1962. Robin “Bob” Custer Sr. graduated from technical school in 1965, with a degree in drafting. He then served in the Army, seeing combat duty with the 1st Infantry Division (the “Big Red One”) in Vietnam from 1967 to ’68. For years, Bob has played a big role in Westport. He’s been the sexton at Greens Farms Congregational Church for over 20 years (giving students on the Jennings Trail Tour the church history), is quartermaster at VFW Post 399, and always marches in the Memorial Day Parade. Bob Custer, standing amidst the flags he loves. 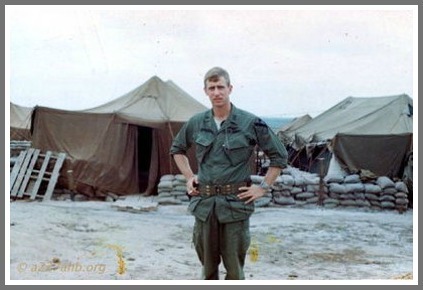 Jay Dirnberger served with the 1st Cavalry Division in South Vietnam, in 1968. Kendall Gardiner Anderson’s husband, Lt. Cdr. Robert Gavin Stewart Anderson, served in Cyprus with Her Majesty’s Royal Navy. After moving to Westport and becoming a naturalized US citizen, he served on the Board of Finance and as second selectman. And let’s not forget the Gilbertie family. John S. Gilbertie Sr. volunteered in World War I, and was awarded medals by the US, French and Italian governments for bravery. He enlisted at 17 — just 12 years after emigrating from Italy — and served as a scout behind enemy lines in the Argonne forest, among other locations. 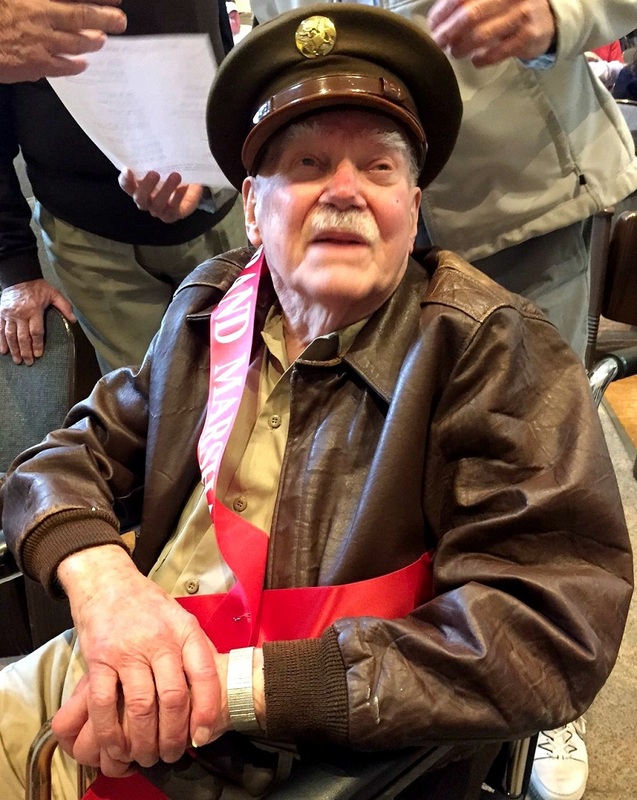 He became a founding members of Westport’s Joseph J. Clinton VFW, was grand marshal of the Memorial Day parade, and helped organize Memorial Day ceremonies on Jesup Green for many years. His name is on the Doughboy statue on Veterans Green (with the Italian spelling, “Ghiliberti”). John’s son Mario went to Korea. Anthony, who was younger, was a member of the Army National Guard. Several grandchildren also served. Jay was in Vietnam, and was a member of the 1st crew of the aircraft carrier John F. Kennedy. Marty was in the Navy CBs during Vietnam. Tom joined the Air Force in the 1980s, while Peter was in the infantry then. Trevor — a great-grandson — recently returned from Afghanistan, with the Army National Guard. Thanks to all the Westport veterans we’ve mentioned — and the many, many others who also served proudly served us, over so many years. Doubleday Field — between Saugatuck and Kings Highway Elementary Schools — honors “Doc” Doubleday. From 1923 to 1957, he served the Westport YMCA as physical director, then membership director. Generations of members knew Doc as the friendly face behind the front desk. 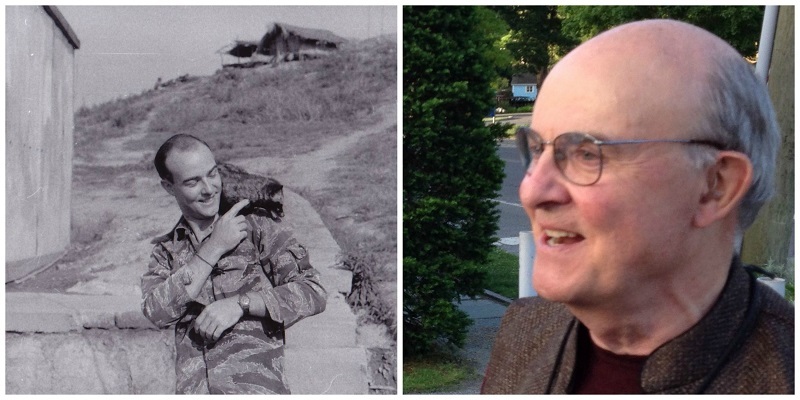 Scott Smith — the Y’s current communications director and resident “story teller” — sent Doc’s son Ed’s remembrances along to “06880.” As we celebrate Veterans Day, it’s a great look back to the 1940s, and the impact of World War II. The war was a very depressing time. Westport lost some 40 young, vibrant boys and men. When my dad stayed late to close the Y, he would peck away at the typewriter. I finally asked him about it. 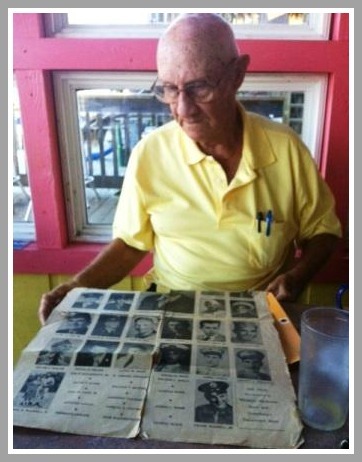 He said he wrote notes to all the young men he knew in the service all over the world. 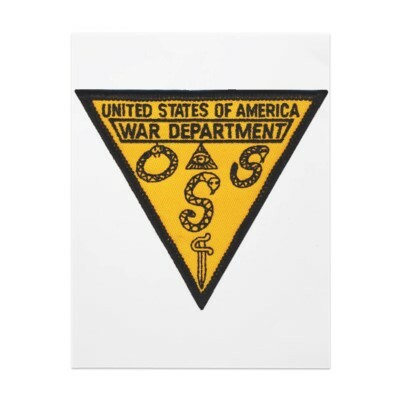 He had a 3×5 card file with the name and address of each serviceman, their likes and dislikes, friends’ names, hobbies, etc. He said they needed to know that we at home cared about them. Every so often he came home with a tear in his eye, and a heavy heart. Another Westport boy had been killed. Doc Doubleday (standing, far right) with other Westport YMCA officers. During the war years Al Bresslin, who was then the physical director, set up a “commando course” in the gym. There were parallel bars draped with mats to climb over, a low balance beam (footbridge), flying rings to swing over an imaginary river, a large pipe to crawl through, and finally a straight dash to the finish line. Everyone was timed weekly. Bill Krause was always the fastest. There were all kinds of clubs at the Y: chess, checkers, airplane model building, stamp collecting and boxing. We had ping pong and pool tournaments. Dad would ask why he didn’t see one or another of my friends at the Y anymore. Sometimes their parents didn’t have the $2 membership fee. He somehow came up with the money, and a Y membership card would magically arrive at the boy’s home. It meant so much to them. 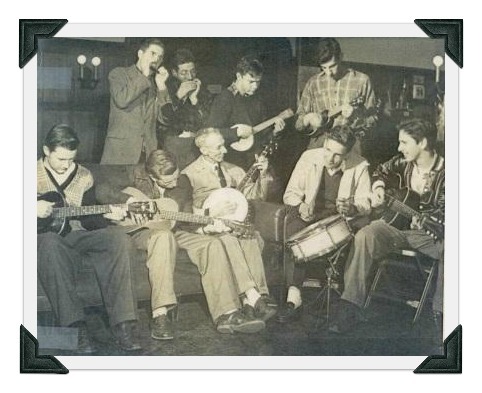 Doc Doubleday playing banjo, with Westport teenagers. Eric (“Rick”) von Schmidt — who went on to great fame as a folk singer — is the guitarist on the right. At the height of the war, all able-bodied men were off fighting. In the summer, farmers called Doc at the Y for labor. He’d round us up. We got on our bikes and headed out early mornings to hoe cabbage, pick tomatoes and corn, weed onions, etc. My friends and I were 12-14 years old. A 10-hour day, for $2.50, was good money for us. In the fall, Herb Baldwin asked Dad to find kids to pick apples at his Bayberry Lane orchard. We got 3 cents a bushel, but it was fun. We’d pick and eat, then take a break and throw the bad apples at each other. One day, Mr. Baldwin loaded us in a truck to help a friend on a farm in Fairfield. At noon we went up to the big garage to eat our lunch. Mrs. Rudkin offered us great homemade bread. The farm was named after a big tupelo tree that grew on the property. They’re also known as pepperidge trees. Imagine that: I was there at the beginning of Pepperidge Farms! I have that newspaper today. Every Memorial Day I re-read it. It still hurts, almost 70 years later. Ed Doubleday — Doc’s son — reads the Town Crier from V-J Day every year. When the war ended, the town celebrated V-J Day with a big gathering on the front steps of the Y. Soon, the boys began to come home. Some came to the Y first. They’d walk up to the front desk, throw down their duffel bag, reach over the desk, throw out their hands and say, “I’m home, Doc!” Tears formed in their eyes, and his. Doc retired from the Y in 1957, and moved with my mom to Florida. She passed first. We lost Doc in 1972. He was 87. Doc loved his years at the Y. I hope he will be remembered as someone who did what he could to make Westport a better place to live, and raise a family. 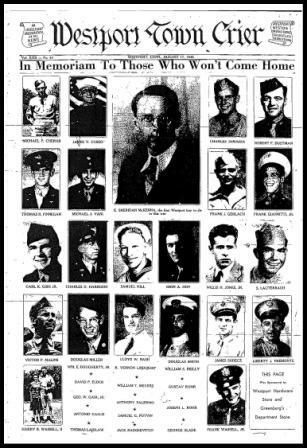 On August 17, 1945 the Westport Town Crier honored all the local boys who died in World War II. Ken Wirfel is an alert “06880” reader. He’s an even more alert Boston Globe reader. The other day Ken spotted a story about a recently discovered letter. It described the execution of 15 American soldiers during World War II. One was a Westporter: the wonderfully named Liberty J. Tremonte. 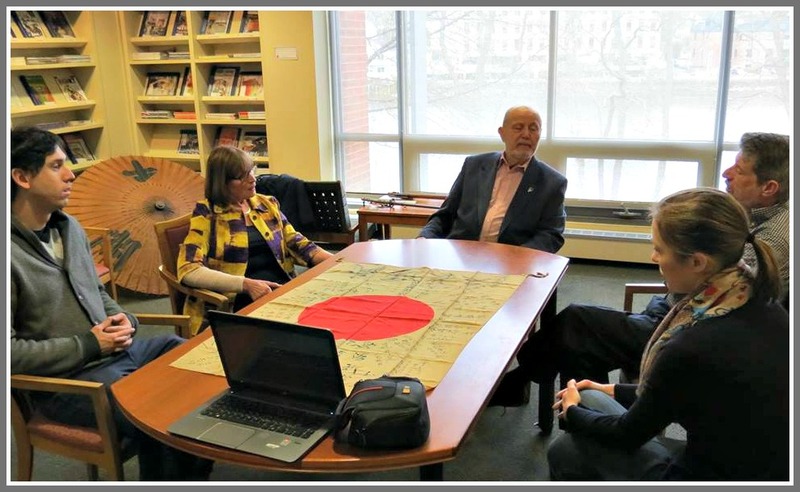 The stunning document — unearthed by a librarian in Natick as part of a project to dedicate a town memorial to veterans — described a 1944 OSS operation behind enemy lines in Italy. The mission was to destroy a railroad tunnel used by Germans. But it ended tragically, with every American dead. The World War II memorial on Veteran’s Green, across from Westport Town Hall, includes Liberty J. Tremonte’s name. A spokesman for the National Archives and Records Administration was stunned at how much of the letter made it past war censors. He thinks the writer — a commanding officer — hoped to provide solace to a widow, by offering details of her husband’s death. The unit’s 1st attempt at cutting German lines of communication — prior to a spring offensive to liberate Rome and move beyond Florence — failed because the night was too dark to locate the target. The next try turned into a battle with a German convoy. A storm prevented a 3rd attempt. Finally, on March 24, Germans captured the Americans. All were executed 2 days later. 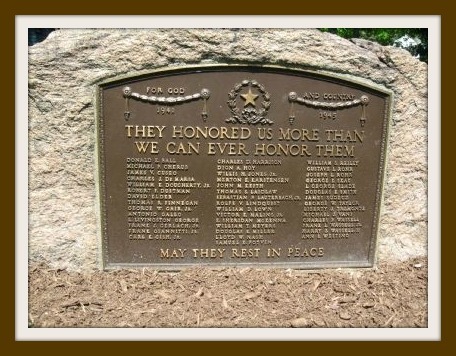 The 15 — 2 officers and 13 enlisted men, including Tremonte — were discovered later in a common grave. Their hands were tied behind their backs. German General Anton Dostler, acting on a 1942 order from Hitler to execute commandos without a trial, had ordered the execution despite resistance from officers within his own ranks. He was found guilty of war crimes and was shot by firing squad on Dec. 1, 1945. Paul Carew, Natick’s veterans services director, said the executions were astonishingly brutal. “I’ve heard a lot of stories about atrocities involving veterans, but nothing to this extent,” he told the Globe. The 5 Sullivan brothers — all killed in action during World War II — are national heroes. The Wassell brothers were Westport’s version of the Sullivans. Three — Harry, Bud and Pete — were killed within 15 months of each other. 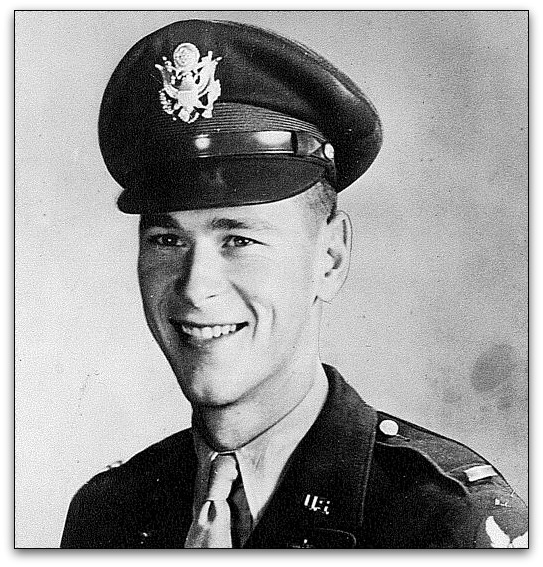 George — a B-17 pilot — was the lone survivor. Few Westporters today remember the Wassell brothers (though Wassell Lane — built for military housing in the Nike site era — is named for them). With this weekend’s death of George Wassell, at age 85 in Maine, it’s time to look back on the remarkable Wassell family. A B-17, similar to the one flown by George Wassell. George was the 5th child of Lloyd and Georgene Wassell. He attended Staples High School, as a member of the Class of 1943. When his 3 older brothers joined the Army Air Corps in 1942, George had the opportunity to become an aviation cadet and receive his diploma — in exchange for enlisting during his senior year. A natural airman, he qualified as a 1st pilot in B-17s. After his 3 brothers were killed, George returned home and — sacrificing a full engineering scholarship to Cornell — went into business with his father. Together they built the Wassell Organization — specializing in office record-keeping and workflow efficiency — into a multimillion-dollar concern. It employed many people in Westport for years, before being sold in 1973. George was a self-taught architect. He designed his own home on Mayflower Parkway, and subsequent homes in New Hampshire, Florida and Maine. In the 1950s he also designed and built a sleek 1-piece fiberglass sports car. He drove it proudly around town for years, before selling it to car aficionado Mike Katz. 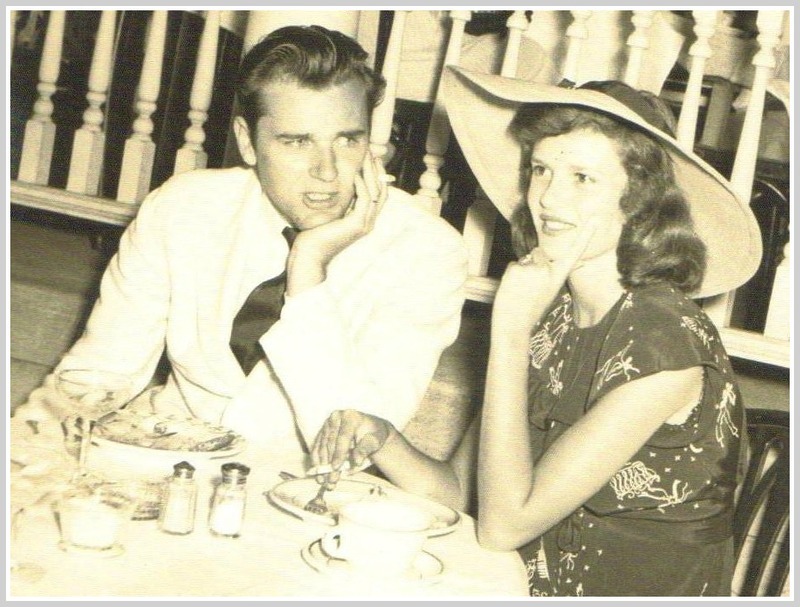 He was a fine son to his grieving parents; a loving uncle to his many nieces and nephews, and — after marrying Betty Schuyler in 1945 — a wonderful father of 6 children, grandfather of 18, and great-grandfather of 3. Eric last saw George at a family reunion in 2008. He reminisced about the turbulent time in 1942 when he and his brothers were in flight school. Eric marveled at the fact that at 17, he was gifted enough to be selected to train as a B-17 pilot in command of 10 men. George Wassell will be buried in Willowbrook Cemetery at 11 a.m. Tuesday. If you can’t be there, maybe you can pause for a moment at 11, remembering George Wassell; his brothers Harry, Bud and Pete — and a special family who, more than 65 years ago, answered the call of duty. And made Westport proud.